Are you planning to leave for vacations? Is there a business meeting coming up that requires you to book the next flight and visit another city or country? If the answer to any of these questions is a yes, then you’ve just landed on the correct platform. Traveling always proves to be an exotic experience for anyone. While traveling, we get to experience diverse cultures of other locations, and try out food and drinks that add more taste into our adventures. You get to enjoy picturesque sceneries and interact with different people that can lead to some wonderful stories that you can share for years in the future. As amazing as it is, traveling doesn’t have to be a costly experience. Do you agree with this statement? I hoped you would. 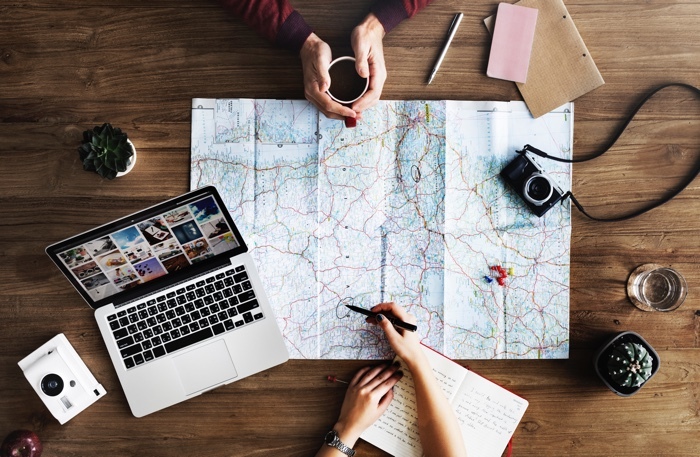 Because over here, I’m gonna share some pretty amazing tips and tricks that can shave big bucks off your entire travel budget. You’ll be able to enjoy all the luxuries of traveling, but you won’t have to break your bank for it. The following tips will help you enjoy a cheap traveling experience. How to Save Money on Hotel and Flight Bookings? While traveling, a big part of our budget usually covers travel fare and stays in hotels. We usually spend up to 70-80% of our budget on both these areas. I am not here to suggest that you should tone down the quality of your flight and choose a creepy motel to save money. What I am suggesting are ways that can help you enjoy the best travel experience without weighing down your pockets. The best way to save money on hotel and flight bookings is by using a VPN. Flight and hotel booking websites check your online location before displaying the prices for all packages. You may not know this, but ticket prices and hotel plans differ according to location. In some cities, the prices can be much lower compared to other cities. Open incognito mode on. This is important because these websites track your search history and produce a panicky situation inside you by increasing the ticket price with every search query entered by you. This is a sales tactic that forces you into purchasing the ticket or plan immediately. Use your smartphone when purchasing flight tickets or hotel plans. Most sites offer more favorable deals to smartphone users than to laptop and desktop users. Turn on your VPN client app before searching for any plans. As mentioned above. Your online location plays a huge factor in determining which price you’re going to get when searching for plans. VPNs are extraordinary tools that let you access any website with ease. The best VPN service, that include PureVPN, have got thousands of servers across the globe. These servers allow you to change your IP address and tricks websites into believing that you hail from another city or location. Not only is a VPN incredibly helpful in reducing travel costs, but it lets you access any channel you want regardless of your physical location. Those channels that are not accessible from the countries you visit will be made accessible via a VPN. You can also access larger libraries when streaming channels such as Netflix, or HBO Now. These channels offer limited content in certain countries because of licensing issues. But you can access full content libraries easily by using a VPN service. VPNs are also amazing tools that offer encryption and protect your online communications. VPN services, like PureVPN, offer up to 256-bits of encryption that help you avoid hacking activities on the web. VPNs save you from surveillance activities that may be common in the countries you visit. Your online communications remain completely secure and private. The same happens when you connect to a public Wi-Fi network. These networks are convenient, but are also highly dangerous. Hackers are known to monitor and intercept online traffic traveling to and from these networks. They work behind your backs in a notorious manner, and they have been known to steal your private and financial information without your knowledge. You can secure yourself easily by connecting to a secure VPN service. By using a VPN, you can continue using free Wi-Fi networks anywhere without having to worry about any breach of your web communications or your connected device and data. So it doesn’t really matter wherever you go during the holidays. You need a VPN by your side. So what are you waiting for? Buy a VPN now before it is too late!